I’d be a liar if I said the Australian flag did nothing for me. It’s evocative of good memories from a childhood with just a few. 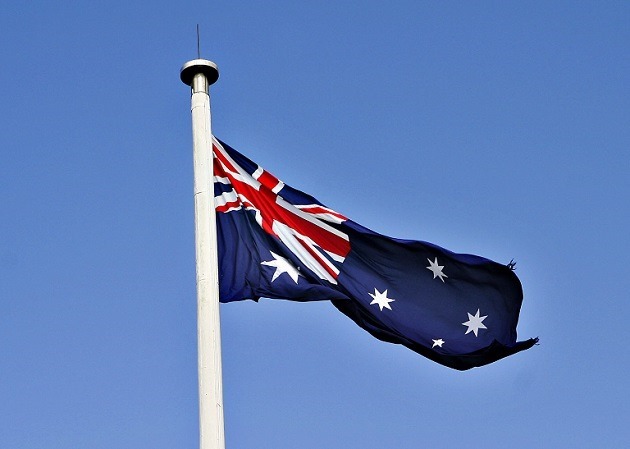 Memories of my Australian-made bathers from the 1970s, and a barbecue at a beach in Port Lincoln that now hosts expensive townhouses adjoining a marina, are frequently summoned by the sight of my nation’s flag. My father, being a fisherman, wasn’t always home, and when he was home he was frequently moody, especially as the years wore on. But at the beach, he was in his element, and the barbeque was as close as he had to a sacred rite. Southwark Bitter, in a longneck with a green label was the communal wine. It’s a pretty stereotypical image of Australia, but it’s not one that was inculcated into me via advertising or viral memes, and obviously, it predates the popular hooliganism of flag-capes, vandalism and race rioting that’s been in the ascendant since the 1990s. But it is what it is; bathers, barbeque, beach and booze. I’ve always been in favour of Australia becoming a republic, although I’m ambivalent about the issue of the flag. I don’t view it as so sacred that I’d oppose it being changed, and yet I’m not motivated to see it go. Maybe, if I wasn’t as emotionally numb as I am, I’d get up in arms about it. Maybe, if I had a better grasp of my own emotional state, I’d anticipate feelings of loss at the prospect of it going away. I can’t say I know for sure. The most I can muster from this introspection, is a realisation of how folks more emotional than myself may also be more invested, either way. Other folks surely see the flag differently, even if only in degree. More broadly, the concept of Australia isn’t objectively bound just to things that are popularly cherished. It’s not just slabs, thongs, zinc cream and shorts. Australian culture is anything that Australians can experience it as, and that includes the snake bites, the road accidents and the racial violence. You don’t get to expect that people’s subjective experiences are recounted in a manner identical to your own. Reality doesn’t work like that. When people complain about Australia on account of their experiences, there always seems to be at least one defensive patriot who’ll attempt to cast such objections as mendacious. Don’t complain, you’re ruining our party! That’s Australia you’re talking about! It’s a pity that it often doesn’t occur to these people that the solution to this problem is to have an Australia that produces less avoidable, undesirable experiences. Possibly the pinnacle of irony in all of this, is when people complain that other Australians should “like it or leave”. Clearly the people making this complaint don’t “like it” themselves, and yet they don’t pack their bags. If you’re going to have a debate about whether Australia is worth celebrating, or if you just want your celebrations to be more authentic, you have to get used to the idea that Australia isn’t just what you make of it from a casual glance. You need to be more outwardly exploratory, and more self-reflective than that. As I write this, Australia Day 2015 is fading into yesterday. Caricatures, and narrow cultural cross-sections are standing at ease, resting in preparation for their deployment on ANZAC day. A thousand and one lost identities will drop the clichés until ads for lamb and the like demand their deployment again. The fetishists will take a break from paying superficial homage to the outward appearances of sub-cultures they couldn’t really care about. Memories of Australia will go unchronicled, their owners partitioned from the story telling – whole facets disappearing with time to the detriment of us all. And those of us with more acceptable narrative elements will have our reflections reinforced by the presence of Australian flag flip-flops and bikinis – bromides for the comfortable Aussie. Posted on January 26, 2015 by Bruce EverettPosted in AustraliaTagged Australia Day.